STA ROSA, Philippines. The Institute of Cooperatives and Bio-Enterprise Development (ICOPED) of the College of Economics and Management, University of the Philippines Los Baños, has been recognized by the Philippines Cooperative Development Authority (CDA) for its unfailing support and invaluable guidance and assistance to the cooperative sector in Region IV. 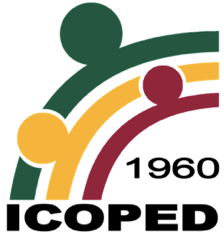 The Institute of Cooperatives and Bio-Enterprise Development (ICOPED) is one with the cooperative movement in celebrating the National Cooperative Month this October! The cooperative month celebration is pursuant to the Presidential Proclamation No. 493 Series of 2004 where all cooperatives are encouraged to initiate and participate in cooperative development activities. The Institute of Cooperative and Bio-Enterprise Development (ICOPED) successfully conducted this year’s 1st Semester Training Series for the cooperatives of Calamba City, in partnership with the Cooperative and Livelihood Development Department of Calamba City (CLDD). The training covered topics on Risk Management, Financial Management, and Internal Control Courses at the CLDD Training Center II, Mercado de Calamba Calamba City, Laguna.